Plus, Official PlayStation Magazine UK teases Relink feature. 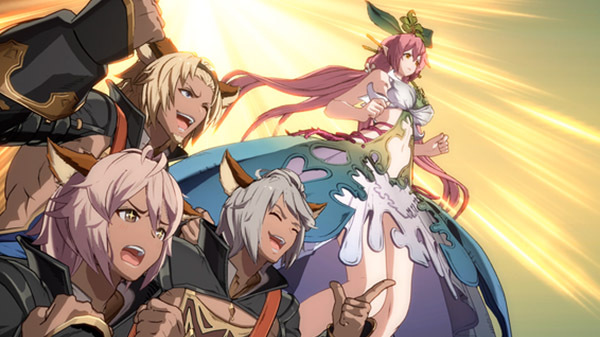 Granblue Fantasy: Versus will be playable at Granblue Extra Fes 2019 in Sendai and Osaka, publisher Cygames announced. The Sendai event will be held on July 27 and 28 at the Yume Messe Miyagi, and the Osaka event will be held on August 3 and 4 at Intex Osaka. This is the first known instance Granblue Fantasy: Versus will be playable to the public. Granblue Fantasy: Versus is due out for PlayStation 4 worldwide in 2019. In related news, the latest issue of Official PlayStation Magazine UK is teasing a behind the scenes feature on Granblue Fantasy: Relink for its May 7-due issue.